Hi! Motorcycle is a fast vehicle and is pretty handy especially when one confronts heavy traffic. 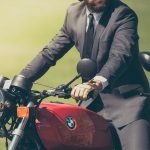 Like any other technological innovation, the vehicle has evolved overtime and today there are many companies and well-known brands providing some of the best motorbikes in USA. 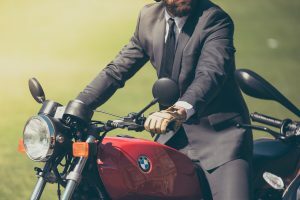 There are many advantages associated with motor cycles such as they are pretty cheaper to run, they are easy to maintain, their parking is relatively easy, they are harder to tow, they are flexible in traffic and they surely look more cooler as compared to a car. In a country like USA there is no shortage of paper magazines as far as motorbikes are concerned. These magazines contain all the information regarding the motorbikes that have been recently launched, their prices, company information and several other important aspects as well. The paper magazine which tops my list and which I recommend everyone to read is the “American Iron Magazine”. The magazine was launched in California back in the year 1989. The magazine mostly covers information about American made motorcycles such as Harley-Davidson. As a motorcycle enthusiast another magazine worth reading for you is the “American Motorcyclist”. The magazine is published every month by the American Motorcyclist Association. The American Motorcyclist magazine mostly covers information related to legislation, motocross, road racing and dirt track. Some other magazines which are worth reading are those of Cycle, Cycle News, Cycle World, Easy riders, Grassroots Motorsports, Iron Horse, Motorcyclist, Roadrunner, Sound Rider and Walneck’s Classic Cycle Trader. There are several online forums as well where you can find credible information about Motorbikes. In my book the best online motorcycle forum is that of “Harley Heaven”. The forum is a must visit for all those individuals who are Harley fans. At the forum you will find all the relevant information pertaining to Harley-Davidson. The forum also contains a chat room where you can have a nice informative chat with likeminded individuals. CT Biker’s Guide is another forum worth visiting if you are a motorcycle maniac. The site requires proper registration for membership and through this membership you can get access to all the important features of the forum which ordinary users cannot access. The forum covers topics like events, bike brands, repair tips; member rides photos and a swap shop. There are many other online forums as well which you can visit as far as getting credible bike information is concerned. The other forums which you can check out are Bad Weather Bikers, Minnesota Wings Motorcycle Club and Real Divas Ride. Through this website you can get all the credible information about Motorcycles. You can get access to all the popular motor bike web forums of the world. The site also contains information about the current prices of popular motor bikes. If you are looking for bike recommendations then you can find information about the Top bikes here. The site also provides insights about the coming bikes and their specifications. Through this site you can chat with other like-minded individuals as well.